The board of the organization GRACE (Godly Response to Abuse in the Christian Environment), which includes the brother and uncle of Tullian Tchividijan, as well as the son of Ronald Reagan, has released a statement of grief over Tchividijan’s sexual misconduct and is urging churches to implement reformation to protect against “wolves” in their midst. “The GRACE board is deeply disturbed about the revelations of sexual misconduct by Tullian Tchividjian. As an organization that deals with the abuse of God’s lambs and the damage silence causes, we feel compelled to speak,” the statement reads. As previously reported, Tchividijan, the grandson of Billy Graham, resigned from his role as pastor of Coral Ridge Presbyterian Church, formerly led by the late D. James Kennedy, in June of last year after admitting to having an affair with a church member. However, Tchividijan stated that he had fallen into an inappropriate relationship in confiding with the woman about his wife’s infidelity. After being hired as the Director of Ministry Development at Willow Creek Presbyterian Church in Winter Springs, he soon admitted that he actually had already been in another affair before his wife was unfaithful, and then had a second sexual relationship. He was consequently fired. Last month, one of the women, named Rachel, came forward and stated that their sexual relationship only ended when they were caught after Coral Ridge’s IT department advised that Tchividijan’s messages could be read on the church server. She said that Tchividijan told the church to delete it all, but elders soon arrived at their homes to confront them about their behavior. Rachel opined that that she had been groomed by Tchividijan after attending his church in seeking healing in her marriage. She said that he began texting her a year ago, as well as a number of women, sending material at times with sexual overtones. 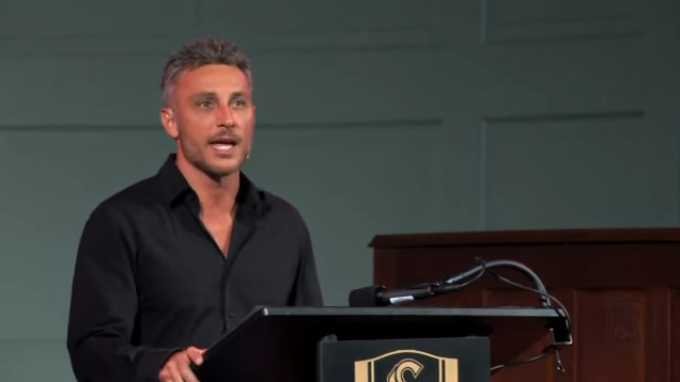 “Each time I created distance, Tullian pursued me with more intensity,” she said, stating that he “love bombed” her, gave promises of marriage, and used the gospel as justification. Two other women also came forward who had once viewed Tchividijan as being a victim who slipped into impropriety out of hurt over his wife’s infidelity, and stated that they are now upset to discover that Tchividijan had been lying as he had already been in an affair and then began another one. They both claimed that Tchividijan had too sent them risque’ texts, and have now cut off all communication out of concern over the former pastor’s behavior. One of the women said that Tchividjian began yet a third relationship after being forced to step down from the pulpit and while still being married to his wife. Tchividjian went on to divorce and then married the third woman, Stacie Phillips, in August. In response to the revelations, six pastors, two counselors and two female ministry leaders, released an open letter expressing grief and outlining that they had once thought Tchividjian was penitent, but no longer feel that way after hearing the other side of the story. The counselors who signed the letter, Paul Tripp and Scotty Smith, had both counseled Tchividjian following his resignation, and Kevin Labby of Willow Creek Presbyterian Church was a part of the open rebuke and call to repentance as well. Now, Tchividjian’s brother and uncle, Basyle ‘Boz’ Tchividjian and Emmanuel Tchividjian, are a part of a public statement expressing deep concern over the former pastor’s alleged behavior and are calling the Body of Christ to be more vigilant about impropriety in its midst. Michael Reagan, the son of former President Ronald Reagan, serves on the GRACE board as well. GRACE therefore outlined a number of proposed reforms to help protect the flock, including seminary training on maintaining appropriate boundaries, rigorous screening of potential pastors, the implementation of a code of ethics and clear policies on how to deal with infringements. “Clergy and other church leaders should also adhere to appropriate policies pertaining to texting and the use of social media,” it said. GRACE said that the Church must confront such issues lest those who do not learn from history be doomed to repeat it. Tchividjian preached as a guest at a California church in October and is scheduled to release a book through publisher David C. Cook, which says it will not pull the deal despite the latest revelations.